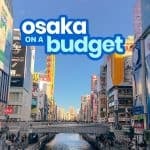 My most recent trip to Osaka was my sixth time in the city. But I still vividly remember the first. Osaka was the first destination in Japan that we set foot in. 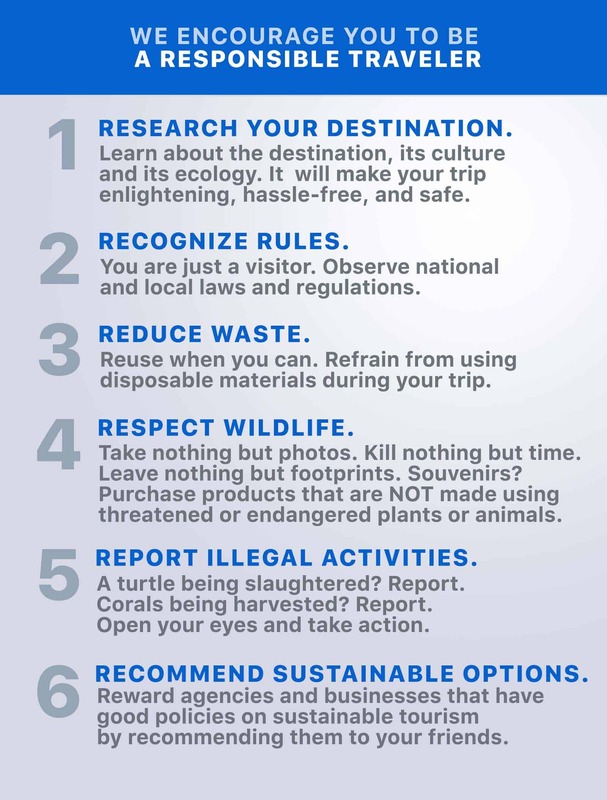 We were travel newbies back then: lacking in knowledge, wisdom, and confidence. Every single day of that trip, we spent a loooong time deciding where to eat because we were so intimidated by everything. Of course, after several Japan trips, we know better. 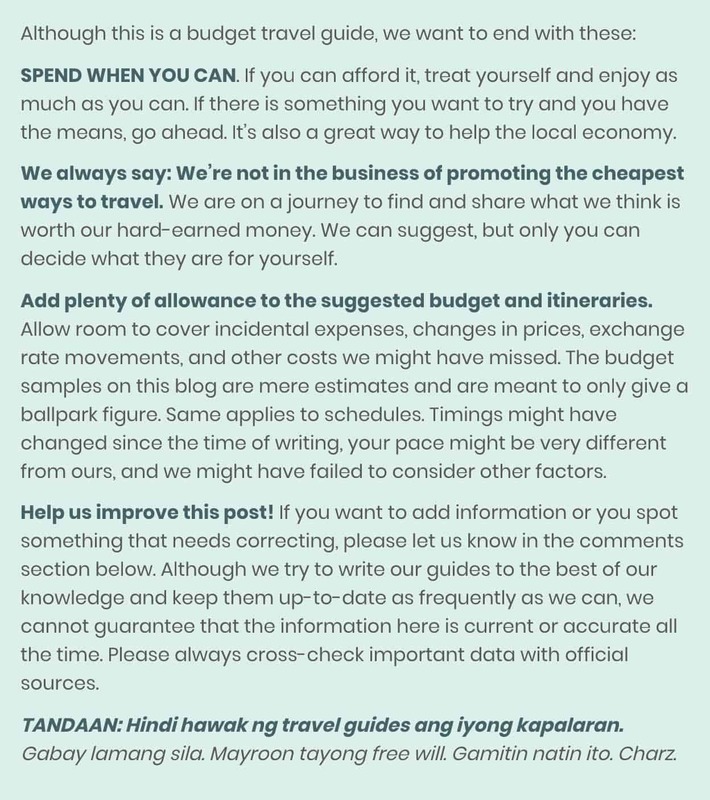 We now know that there are a lot of cheap but wonderful food spots in every city, and we have gathered enough confidence (and money) to find and try them. I guess that’s why I like visiting cities over and over again. When the streets and lights bombard you with old memories, you’re reminded that after each journey, people, like places, are never the same. This trip is different because this time, it was all about the food. We sought out the restaurants and stalls that could give us cheap but unforgettable eats. And here’s what we found. I eat at Endo Sushi every time I’m in the city. EVERY. SINGLE. TIME. That should tell you how much I enjoy this small and unassuming sushi shop. 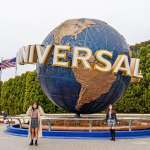 That, despite being located far from the city’s many popular tourist spots. It is almost an attraction in itself with tourists going out of their way to have their own plateful. 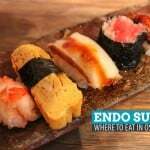 Endo Sushi has been serving what many consider “Osaka’s best” for over a century. Yep, more than 100 years, and they’re here to stay, despite being so small. The place has only five tables and a short bar, so expect to queue up a bit. Immediately upon taking a seat, you wull be served a cup of hot green tea together with a hot towelette. On the table are two small porcelain bowls that cradle shoyu (soy sauce) and pickled ginger. Don’t go looking for wasabi because it’s already mixed with rice. Aside from the toppings, this wasabi mixture sets Endo apart from other sushi places. It’s a perfect blend of saltiness and spice. If you’re not a fan, tell the chef or waiter upon ordering so they can create wasabi-less pieces for you. Endo’s menu has only a few choices. 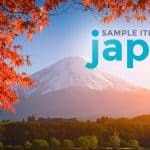 You get to pick among four sets only, each priced at ¥1150 + 8% tax. Every set is made up of five pre-selected pieces (omakase), but you can have a piece replaced if you like. 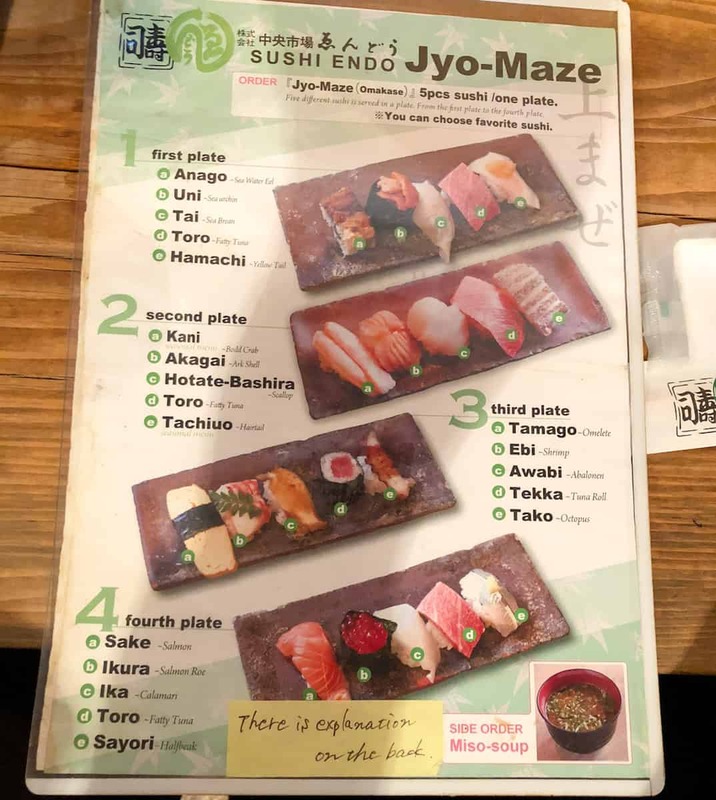 I have tried all four sets, and Set 1 — composed of anago (sea water eel), uni (sea urchin), tai (sea bream), toro (fatty tuna), and hamachi (yellowtail) — is, by a mile, the best. Many of these pieces have premium toppings including toro and uni. If you want to try the other plates, don’t be shy to order more. It’s perfectly normal to have a rack of multiple plates because every piece is glorious. Because it’s located just next to the fish market, they get first dibs on the freshest ingredients, and you can taste the freshness with every bite. How to get there: The closest stations are Noda and Tamagawa. They’re very close to each other so just take whatever is more convenient. From Noda Station, cross the street and turn left until you hit an intersection. Turn right and walk along that road until you see Aji River. Turn right onto the road just before the bridge. The big building to your right is Osaka Fish Market. Walk towards the market and keep left — Don’t climb the overpass — and you’ll see Endo Sushi after the parking lot. If ¥1150 can treat you to 5 pieces at Endo Sushi, an even smaller amount, ¥1050, can give you a dozen at Tokisushi (Toki Sushi). We love Toki Sushi for two things.  First, its location. 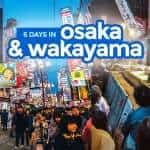 If you’re staying around Namba, then this should be within walking distance of your hotel. The other, its affordability. A standard plate here, with 2 pieces of nigiri sushi, costs only ¥150. A more premium sushi — like fatty tuna and sea urchin — are at ¥150 apiece. But most diners get their assorted sushi plates, which cost ¥730 for 8 pieces and ¥1050 for a dozen. We ordered the dozen-platter. The waitress served a wooden board that looked almost overflowing with sushi, all twelve of them topped with big cuts of seafood. 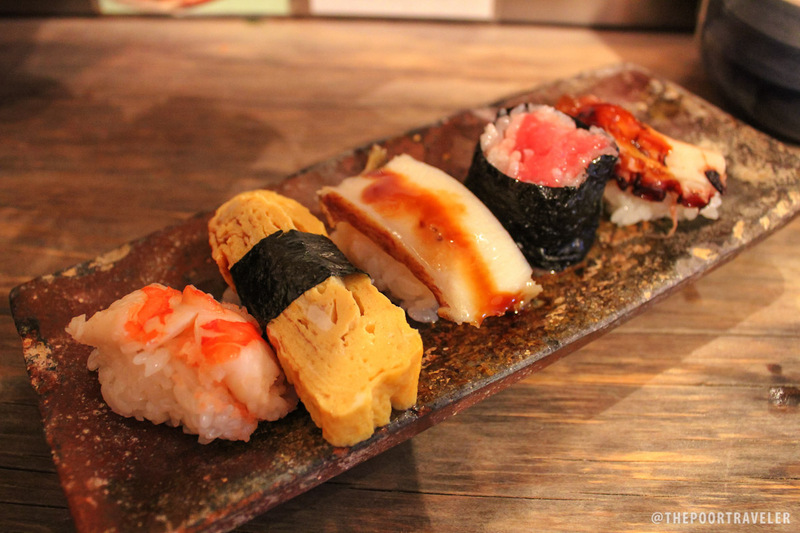 However, most are crowned with regular toppings like squid, tamago, and regular tuna. 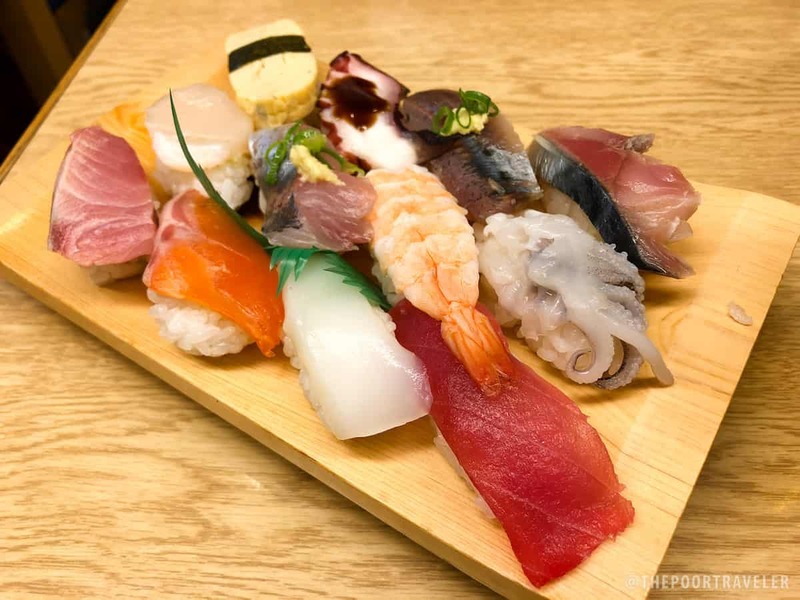 If you have more dough to burn, we highly encourage you to try their premium sushi set (¥2100), which will give you all the awesome pieces like uni, Japanese eel, and fatty tuna. I would choose Endo Sushi over Tokisushi any day, but that’s expected because the former is way pricier. But I still encourage you to try both. If you do, however, try Tokisushi first so you won’t be underwhelmed. 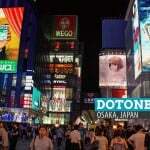 How to get there: The closest stations are Namba and Nippombashi. 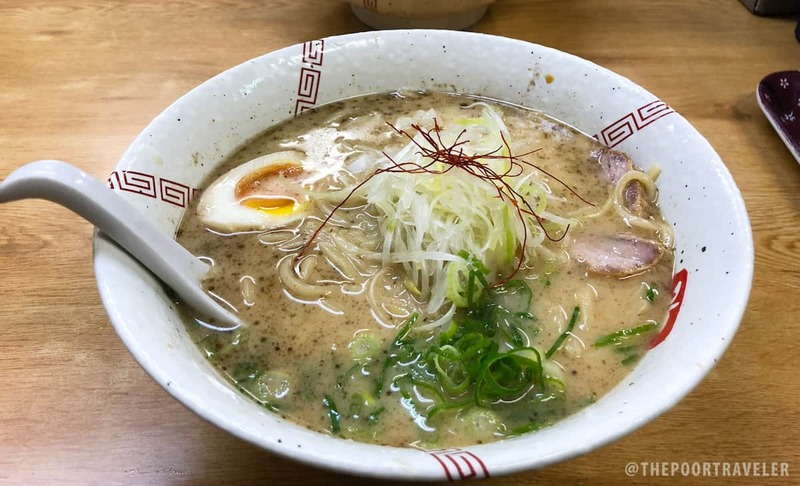 Like most best-kept secrets in Japan, Ramen Yashichi is housed in a humble, compact, dingy hole in a wall that is easy to walk past. We almost did, since there was no queue outside it, pretty unusual for a ramen place that is supposedly one of the best in Osaka. But there is a perfect, sensible explanation for it. As soon as we started queueing, we were approached by one of the staff, who gave us a number with a small message telling us to come back at the specified time. That’s their way of avoiding creating a long line in front of the shop (perhaps because it could block the entrance to its neighboring stores). But it was mid-afternoon of a weekday so we didn’t get to wait much. In 10 minutes, we were inside, trying to figure out the all-Japanese vending machine that takes customers orders. The staff, though, was gracious enough to assist us. In no time, we were seated at one of the only two tables and served a big bowl of ramen. There are three main types of ramen here: shoyu (soy sauce), shio (salt), and tsukemen (noodles are served separately for dipping). Online consensus highly favors shoyu so both Vins and I ordered the same thing. This was the first time I stuffed my body with a ramen in a chicken-based broth. I’m used to pork bone (tonkotsu) and have tried beef bone (gyukotsu) before, but this one was different. I was afraid I’d be disappointed because I assumed that, since it is chicken-based, it would taste light. I like my soup like I like my men, rich and strong. However, it was anything but light. It was full-bodied, almost like tonkotsu, but creamy. Think of it as the lovechild of a tonkotsu ramen and a chicken macaroni soup. It’s one of those broths that get more flavorful with every spoonful, complementing the sweet marinade of the chashu toppings. Before I knew it, my bowl was empty. 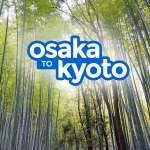 How to get there: Closest train station is Nakatsu. Ramen Yashichi is only 3 blocks from there. 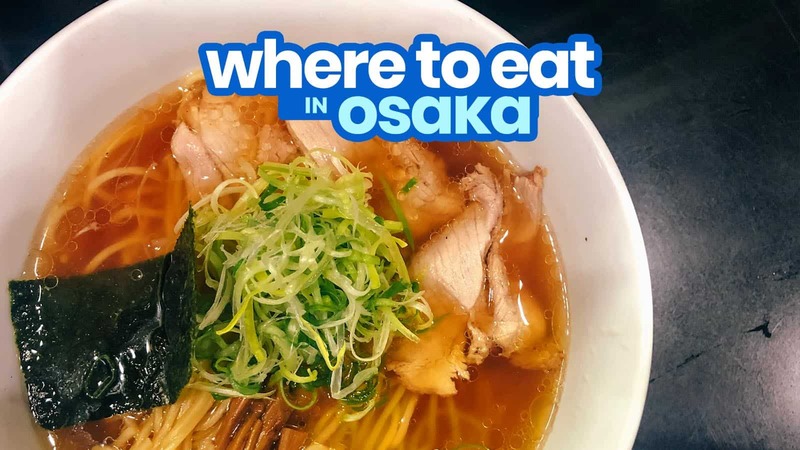 Try googling “best ramen in Osaka” and you’ll be presented with a gazillion lists prepared by various websites. 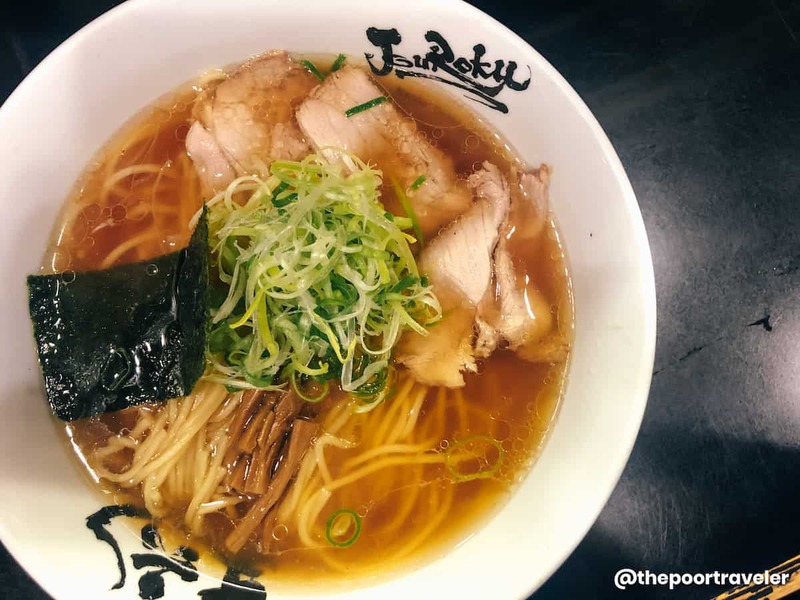 Menya Joroku is a staple in these recommendations. Menya Joroku (Menya Jouroku) is tucked in a narrow alley in Uranamba, a short walk from many of the key attractions in Namba or Dotonbori. 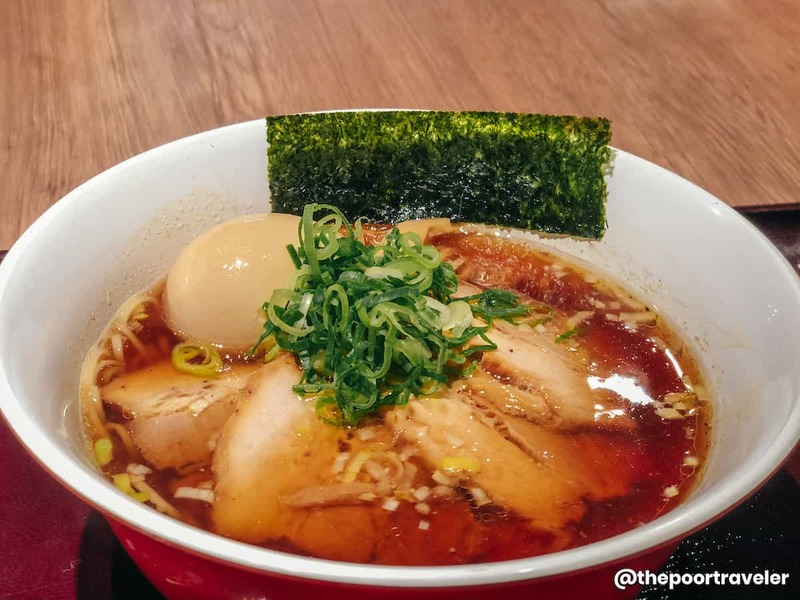 Their specialty is chukasoba, a Takaida-style ramen that is characterized by its deep dark broth, made with chicken stock and black soy sauce. Most reviews say that despite its color, it is surprisingly light. I beg to differ: I find it a bit on the heavy side. It has an intense salty flavor with a tinge of sour. That’s not a bad thing for me because like I said earlier, I like strong, rich profiles. Each serving is topped with slices of roasted pork, chopped scallions, bamboo shoots, and a generous dash of black pepper. 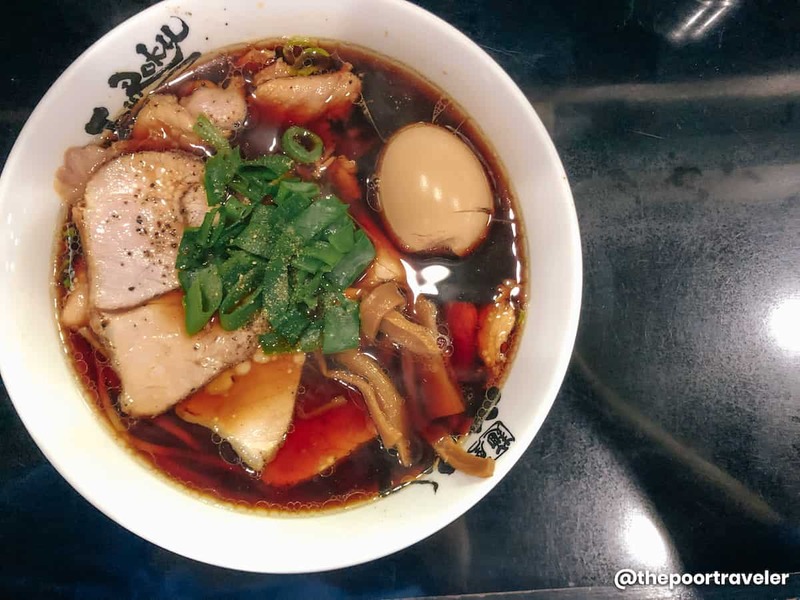 If your palate favors the lighter end of taste spectrum, order samma shoyu ramen instead. This also uses chicken broth but blended with dried saury fish stock, creating a light but dynamic flavor. Each bowl also comes with scallions, roasted pork, bamboo shoots, and nori. Hanshin Snack Park is a stand-up food court that has been popular especially among locals. 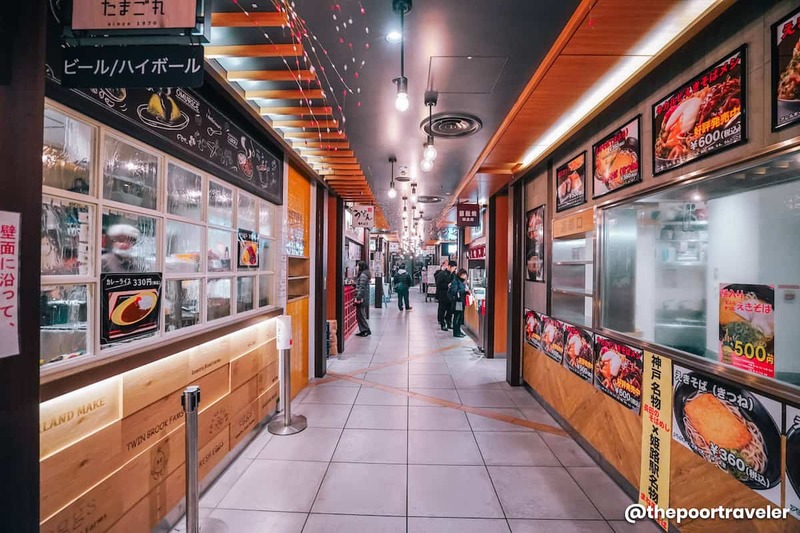 Located inside the Hanshin Umeda Main Department Store, it houses over a dozen stalls selling Japanese foodie treats like sushi, takoyaki (snack balls with a bit of octopus), and ikayaki (a crepe-like snack filled with squid bits). But what we found most satisfying and filling here was the ramen served by a kiosk called Kadoya Shokudo. Kadoya Shokudo serves traditional ramen, with shoyu broth and thin, soft Chinese noodles. As you may have noticed, I’m not a fan of ramen with light broth, but this was a pleasant surprise. The dashi is clear but has the perfect mix of saltiness and umami. It reminded me more of the fishy, immaculate taste of udon broth than ramen. Omurice has its roots planted in Osaka. In particular, the main branch of Hokkyokusei in Shinsaibashi is regarded by many as the first to serve omurice decades ago. Omurice is a simple dish. It’s basically omelette and rice but presented in a more creative fashion. Its early incarnations had mushrooms and onions mixed with the rice and served with ketchup. But today, it takes many forms. 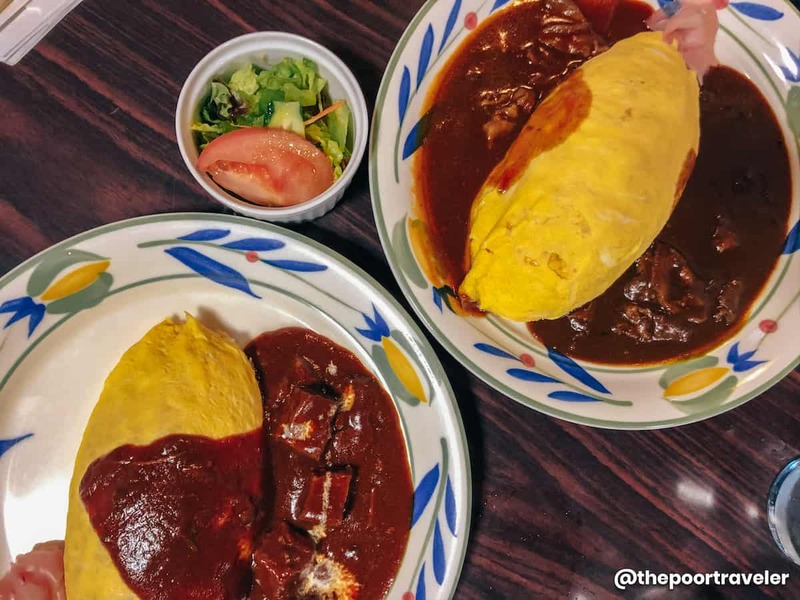 At Hokkyokusei, the most popular versions are hashed beef omurice and beef curry omurice. We asked the staff for their bestsellers and they pointed to the hashed beef and beef curry plates. Hence, Vins ordered the 2-in-1 omurice, served with both curry and hashed beef, poured on either sides of the omurice. I ordered the more expensive beef stew omurice. This way, we get to try three different variations in one seating. To be honest, the taste is just okay and the price is a bit steep for it. I’ve had better versions in other restaurants at a cheaper price. The beef chunks in my beef stew were hard, almost leathery. Of the three, I liked the hashed beef the most. It was bright and rich. But I still think it’s overpriced. But I guess the hype is more about its history and ambience than the food. 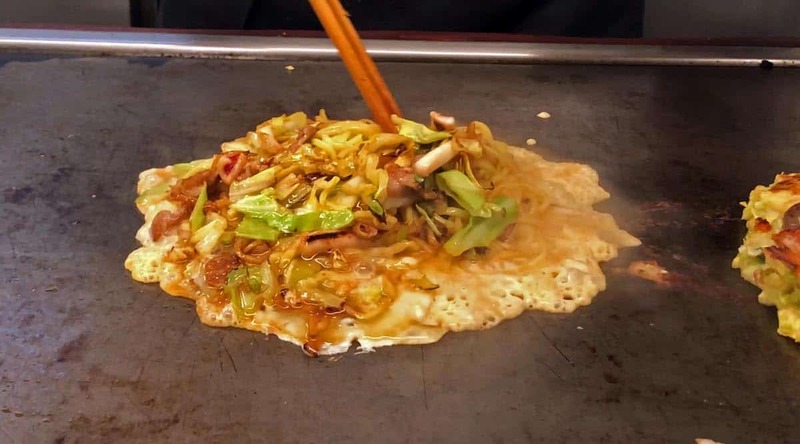 We had just finished checking out the view from Umeda Sky Building’s observatory, when our grumbling tummies and a quick Google search led us to the door of Okonomiyaki Kiji, at the tower’s basement food court called Takimi Koji. We were greeted by the staff, who gladly ushered us in. Spotting our cameras, he asked if we wanted to sit by the bar (perhaps so we could get better angles). We were there for okonomiyaki, but he highly recommended the yakisoba. We ended up with both. The chef began creating the dish in front of us. The more they took form, the more we realized that these would be HUGE pieces, maybe bigger than we can handle. When it was all done, he split both the okonomiyaki and yakisoba in two, and evenly distributed the pieces. 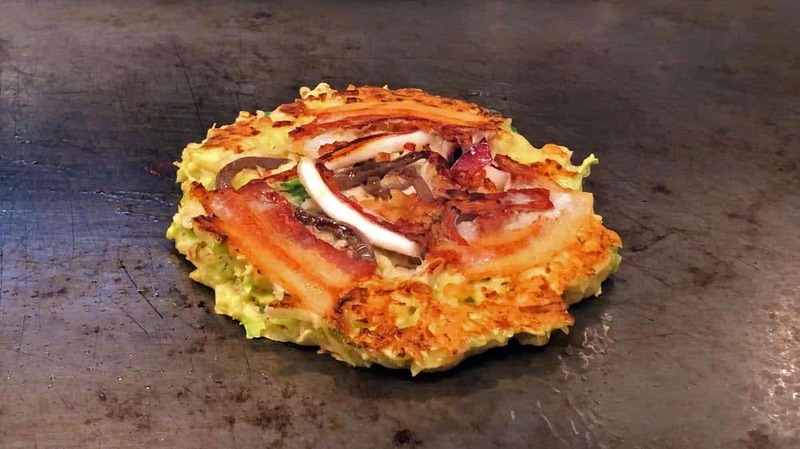 Okonomiyaki is Osaka’s famous traditional pancake usually made of wheat flour, cabbage, and eggs. Kiji allows you to choose the protein components of the dish, so we opted for a mixture of everything: bacon, beef, squid. The last piece was a shiso, a perilla leaf. (I’m not a fan of perilla, but Vins is.) Kiji’s was everything you could hope for in an okonomiyaki: big, filling, flavorful, and well-seasoned. And because our order sat on the grill the entire time, it remained warm throughout the meal. Cost: ¥850. But that yakisoba totally upstaged the okonomiyaki. The yakisoba had a soft, juicy but non-soggy texture that was punctuated by the squid, meat and veggie bits. 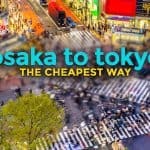 How to get there: Closest train stations are Osaka and Umeda. Aizuya is widely believed to be the birthplace of takoyaki, Osaka’s most popular street food. Yep, they are credited for inventing takoyaki. 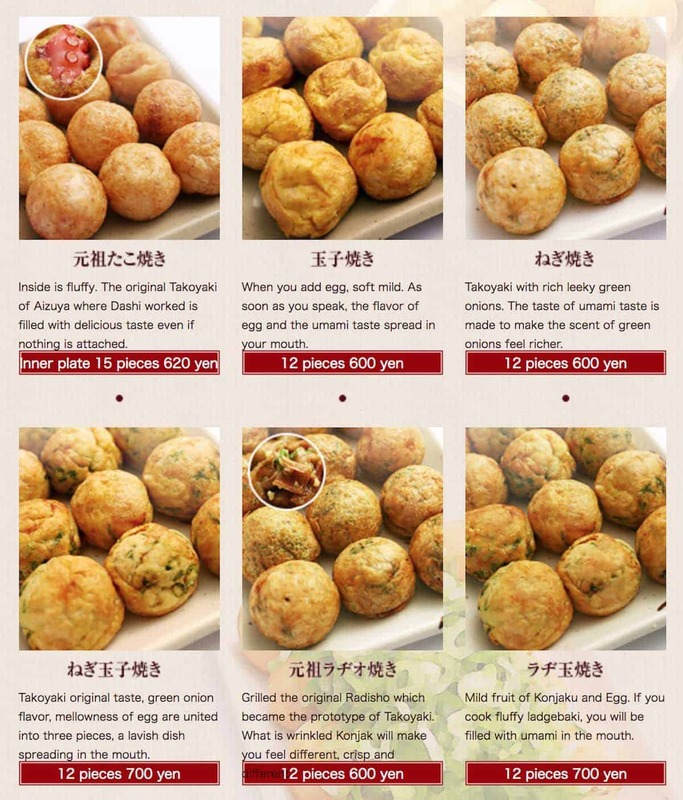 Their takoyaki is served without any sauce, which shows just how confident they are with the taste of their product. And it must be pretty darn awesome because they got a recommendation from Michelin’s Bib Gourmand 2016 Guide. All these made us visit. Unfortunately, it was still closed when we arrived and we didn’t have the luxury of time. Boohoo. Anyway, if you want to try it, a 12-piece plate is only ¥500, 15-piece ¥620. Aizuya has a few branches including one in Umeda and another in Namba. 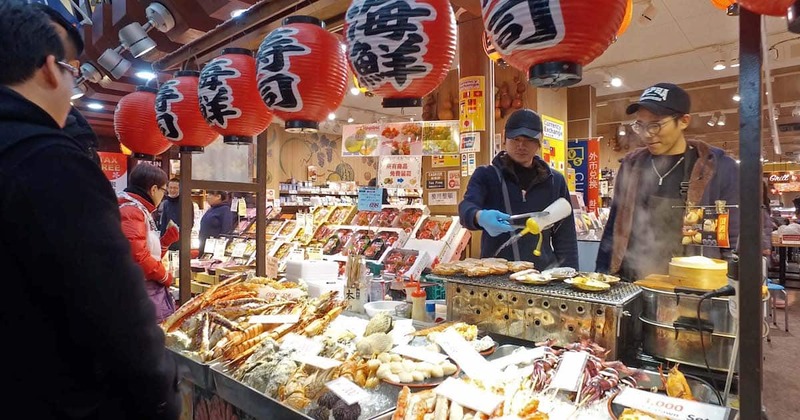 For over 190 years, Kuromon Market has been known as Osaka’s kitchen for its almost endless array of gastronomic options, ranging from rare fruits to mouth-watering seafoods that you can eat or have prepared on the spot. We stumbled upon it by accident. We didn’t realize that the shop where we would be picking up our Amazing Osaka Pass is located here, so we were delightfully, unexpectedly bombarded by sensory treats. The scent of grilled food and the greetings from sellers filled the air. Although not part of the plan, we ended up digging into some of the delicacies sold here including seared scallops and sweet potatoes. Compared to other markets I have visited in Japan, Kuromon is actually a bit pricier, but the experience make up for it.  They sell items in small servings, which allows visitors to get a taste of a wide variety of products, something that a regular restaurant can’t give you. There’s just so much to see and taste here. If you want to try Kobe beef but not flush enough to afford a proper cut, you can get hold of small slices here. Even the deadly fugu (pufferfish) is sold in one of the corners. If you’re traveling on a shoestring, a good way to save on food is by shopping at a friendly neighborhood supermarket. I do it all the time when I’m staying in Japan for a long time. Supermarkets in Japan sell fresh and cooked food, and they are goooooood. Not as good as what you would have at a proper restaurant, but waaaay better than what you would expect from supermarkets. Tip: Shop for food past 8pm because most perishable products (like sushi and other cooked meals) are put on sale! 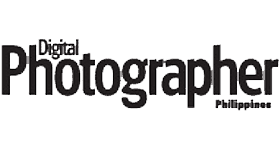 You can save up to 50%! 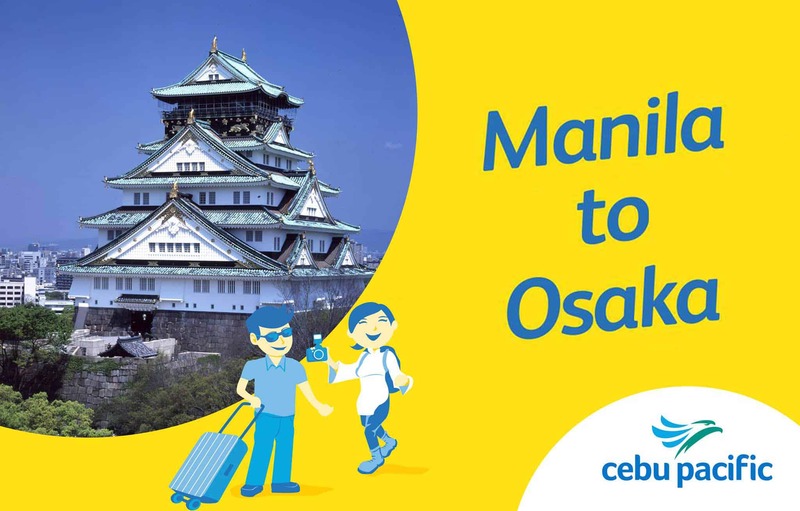 Cebu Pacific Air flies to Osaka five times a week. 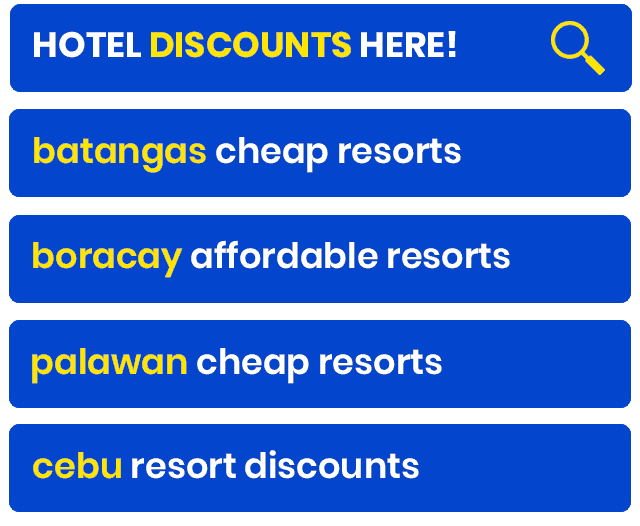 Their lowest year-round fare is at P6399, which is a great deal already.